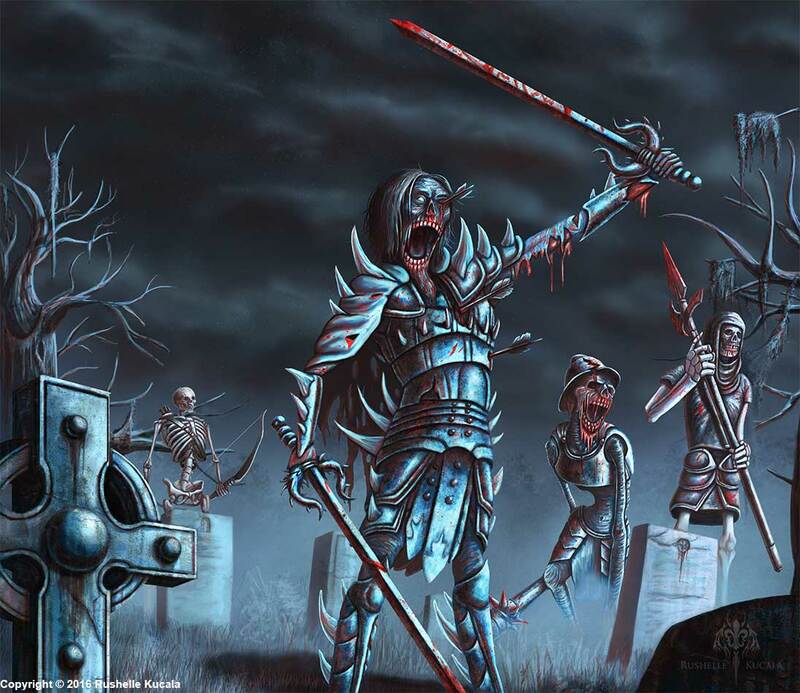 One of my friends commissioned me to design a zombie themed card mat for his Magic: The Gathering card deck. He wanted a couple of zombies in a graveyard and left the rest to me. So I had a lot of fun designing the zombies, their armor, and also the color palette since I had a lot of conceptual freedom with this project. I actually started over coloring half way through it because I wasn't happy with the palette I originally chose. I trashed it and started a new color layer and it turned out like this, which I'm really happy with. He loves it so I'm very happy too, I can't wait to see the mat printed and finished!